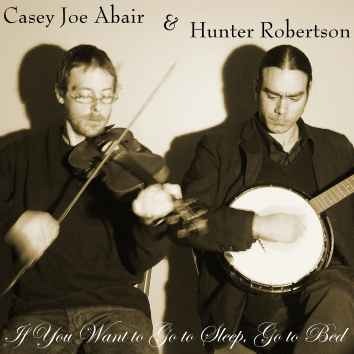 Casey Joe Abair & Hunter Robertson have posted us news of the release of a new album If You Want to Go to Sleep, Go to Bed, an album of old-timey banjo & fiddle duets. It comprises 17 traditional songs and tunes, which they have learned from a variety of sources – mainly musicians long gone. The CD is available from CDBaby and Menzies Stringed Instruments and shortly from County Sales and Elderly Instruments. It will also be available through iTunes, Rhapsody, Amazon, eMusic and other purveyors of fine mp3s as well. To listen to samples and get more information on the album from their website.